A PAIR of corporate lawyers are secretly delighted that their son has ignored everything they tell him about sharing his toys. Norman and Rebecca Steele feel obliged to tell son Amos that he should share with other children, but have admitted that when he takes a toy tractor from another child and runs away they feel like cheering. Steele said: “Go Amos. Nobody shares in the real world. “Frankly, and I think I speak for a lot of parents here, we feel Amos is in danger of being held back in his development by low-calibre children who deserve to have their Frubes snatched by a more enterprising individual. 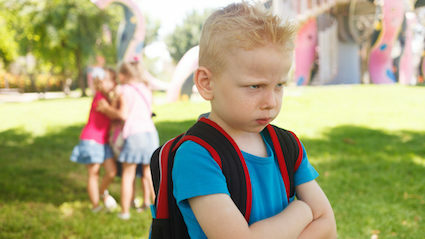 “Political correctness means that we can’t openly encourage our son to be selfish, predatory and contemptuous of his go-nowhere fellow toddlers, but his natural instincts are more than compensating. “He takes what he want, he doesn’t apologise, and he’s not afraid to scream for hours just because another child has been given a biscuit which is how I got made partner. 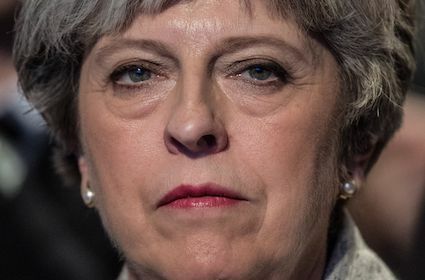 THERESA May has vowed to humiliate and destroy everyone who felt sympathy for her yesterday. The prime minister, who later tweeted a photo of the troublesome rat skull that was stuck in her throat during the speech with the caption ‘Cleared it!’, said it was an outpouring of ordinary human emotion that she will never forgive. She continued: “Your empathy for my misfortune has left me feeling soiled. Only a purge can make me clean again. “If you said ‘Ooooh,’ while I coughed, if you covered your eyes unable to watch while I was mocked by a BBC Three comedian, if you dared to feel pity, then my revenge will be great. May added: “You, Joseph Turner of Stoke-on-Trent. Our monitors heard you saying ‘Poor cow,’ during the News at Ten last night. Today, they will come for you.